The course was full of students all day long. purpose of engaging high school students for a while AND at the same time – serve as an educational tool. Our solution ended up being the big hit of this years SAWS Confluence – just as our Game Shows To Go have been in the past. 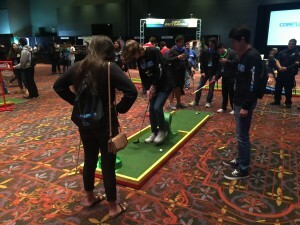 We set up our Mini Golf To Go course at the San Antonio Convention Center as the centerpiece of their event. To make it educational we created 20 signs that hung from our hole markers. Each sign included trivia for the students to read as they played through the course. This also led to discussions among the students about what they’d learned. Low score of the day at 19 strokes!!! 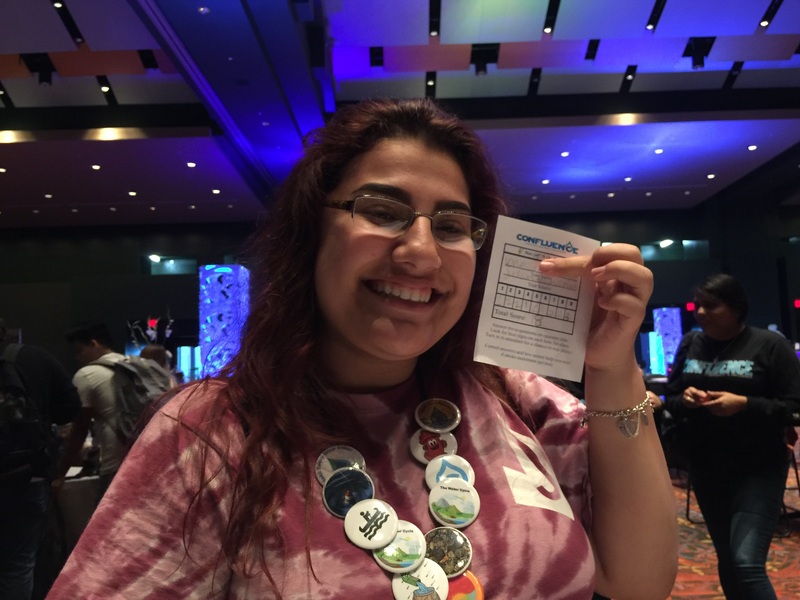 On the back of their individual score cards were a set of trivia questions which the answers to were scattered throughout the course. There were several different sets of questions to make it more difficult to share answers and make it more likely that students were learning. Students turned in their score cards at the end of their round and we kept track of the low scores of golf for the day as well as those who got holes in one and all correct answers. Those people were put into a prize drawing and given trophies for their accomplishments. The result was that our Mini Golf To Go was the hit of the Confluence. Yes – we can do something similar for your event too – just let us know your needs and we’ll see what we can make happen just for you.